Did you watch season one of Galavant? Now’s your chance. TVInsider is reporting that the entire first season is now available for free on iTunes in anticipation of the ABC series’ season two premiere. Season two of the musical comedy premieres on January 3rd, at 8 p.m. Season one premiered last winter as a limited musical comedy event, but the series was renewed in May for 10 episodes. The show stars Joshua Sasse as the eponymous hero, who is trying to rescue his former love (Mallory Jansen) from a tyrannical king played by Timothy Omundson. All eight half-hour episodes of Galavant‘s first season are currently available to download on iTunes. What do you think? Did you watch the first season of Galavant? If not, will you download it on iTunes? More about: ABC TV shows: canceled or renewed?, Galavant, Galavant: canceled or renewed? 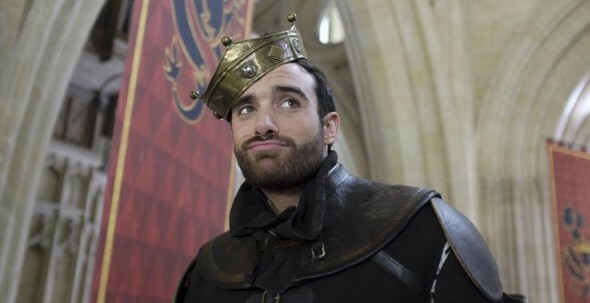 Galavant: ABC Exec Loves Series; Broadway Next? Galavant: Cancel or Keep the ABC Musical Adventure Series?